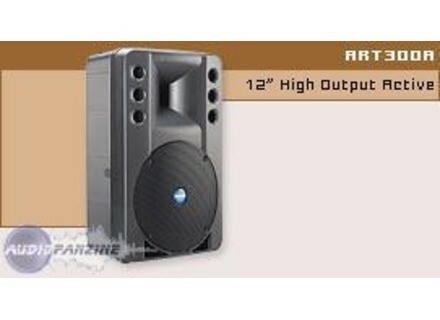 ART 300-A, Other PA/Live Sound Speaker Cabinet from RCF in the ART 3 series. The RCF ART 310 A’s are top of the line. I have used these with a wireless PA mic for an event that was sponsored by the news station and they sounded great outside at the park during the yearly cookout. They are light but sturdy and strong. The value is excellent. These speakers do not cost very expensive and the quality is there. They are used to add sound to the singer, the chorus, keyboard ... with a power mixer Behringer and it goes quiet. But overall it is a versatile speaker that can not ask around, stage front, repeat etc.. She has the character you need to know to manage. A very good value for money, heavy, solid and reliable. I have a boomer who once dropped a while it was under warranty, replaced by Yamaha with no discussion, nothing to say, they recognized the defect-free manufacturing problem. We use this speaker at the cook out each year, and its been going on about 4 years now with the exact same speaker and PA system and never once had a single problem with it. In my opinion its not really for music, that’s why we use it for just announcements and activities. When music was played in it, it seemed to lack some low frequencies and really didn’t have the boom that I have grown to love over the last 10 years or so. But if you use it for PA system you will love it and never need to use another speaker again for as long as you live. You can put this in the van and take it anywhere you need to be with it. Its so easy to move around and has handles to pick up. Plus its light like I mentioned before so you wont need more than 1 person to get this great out of the van and set up. Not to mention it looks great!